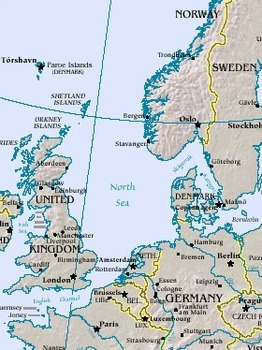 The North Sea is a part of the Atlantic Ocean. It lies between Great Britain and the northern and north-western mainland of Europe. Seven countries border the North Sea: Germany, Denmark, The Netherlands, Belgium, France, Norway and the U.K.